Did the Church Fathers View Their Own Writings as “Inspired” Like Scripture? Just recently, Lee McDonald has repeated this claim numerous times in his latest volume, The Formation of the Biblical Canon, vol. 2 (T&T Clark, 2017), particularly as he responds to my own work. To be sure, McDonald has done some great work on canon, and I appreciate much in this new volume. But, I have to disagree with him on this point. Likewise, Irenaeus views all the New Testament Scriptures as the embodiment of apostolic teaching: “We have learned from none others the plan of our salvation, than from those through whom the Gospel has come down to us, which they did at one time proclaim in public, and, at a later period, by the will of God, handed down to us in the Scriptures, to be the ground and pillar of our faith.” Although this is only a sampling of patristic writers (and more could be added), the point is clear. The authoritative role of the apostles was woven into the fabric of Christianity from its very earliest stages. Second, there is no indication that the early church fathers, as a whole, believed that writings produced in their own time were of the same authority as the apostolic writings and thus could genuinely be contenders for a spot in the NT canon. On the contrary, books were regarded as authoritative precisely because they were deemed to have originated fom the apostolic time period. A couple of examples should help. The canonical status of the Shepherd of Hermas was rejected by the Muratorian fragment (c.180) on the grounds that was produced “very recently, in our own times.” This is a clear indication that early Christians did not see recently produced works as viable canonical books. Dionysius of Corinth (c.170) goes to great lengths to distinguish his own letters from the “Scriptures of the Lord” lest anyone get the impression he is composing new canonical books (Hist. eccl. 4.23.12). But why would this concern him if Christians in his own day (presumably including himself) were equally inspired as the apostles and could produce new Scriptures? The anonymous critic of Montanism (c.196), recorded by Eusebius, shares this same sentiment when he expresses his hesitancy to produce new written documents out of fear that “I might seem to some to be adding to the writings or injunctions of the word of the new covenant” (Hist. eccl. 5.16.3). It is hard to avoid the sense that he thinks newly published books are not equally authoritative as those written by apostles. Third, and finally, Sundberg does not seem to recognize that inspiration-like language can be used to describe ecclesiastical authority—which is real and should be followed—even though that authority is subordinate to the apostles. For instance, the writer of 1 Clement refers to his own letters to the churches as being written “through the Holy Spirit.” While such language certainly could be referring to inspiration like the apostles, such language could also be referring to ecclesiastical authority which Christians believe is also guided by the Holy Spirit (though in a different manner). How do we know which is meant by Clement? When we look to the overall context of his writings (some of which we quoted above), it is unmistakenly clear that he puts the apostles in distinct (and higher) category than his own. We must use this larger context to interpret his words about his own authority. Either Clement is contradicting himself, or he sees his own office as somehow distinct from the apostles. In sum, we have very little patristic evidence that the early church fathers saw their own “inspiration” or authority as on par with that of the apostles. When they wanted definitive teaching about Jesus their approach was always retrospective—they looked back to that teaching which was delivered by the apostles. A.C. Sundberg, “The Biblical Canon and the Christian Doctrine of Inspiration,” Int 29 (1975): 352–371. 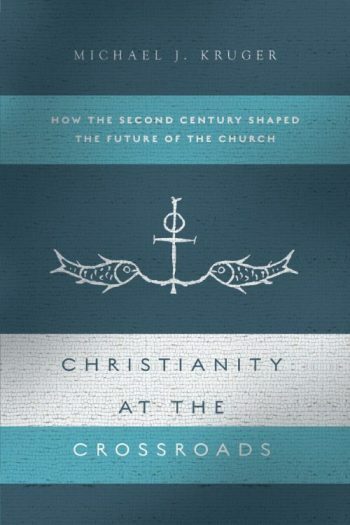 Last year (2017) my book on second-century Christianity was released with SPCK in the UK: Christianity at the Crossroads: How the Second Century Shaped the Future of the Church. For my American colleagues and friends however, this book has not been easy to get. Since it is a dual publication between SPCK and IVP Academic, and since it was released by SPCK first, it has thus far only been (technically) available if ordered from the UK. I am pleased to say that it is now available in the USA. No more need to get bootleg copies! Although Amazon is showing the book is not available till February 25th, our own bookstore here at RTS already has copies. And I have to say I love the new cover (see inset picture). I also thought the SPCK cover was great, so I am blessed that I like both of them (which is not always true for authors). I am pleased to say that its US release is almost here. IVP Academic plans to release it March 6th (see here). 1934 was a big year for Germany. It was the year that Adolf Hitler became the Führer and complete head of the German nation and the Nazi party. And, as we all know, it wasn’t long after that time, that Germany invaded Poland and began World War II. But 1934 was a significant year for another reason. Very quietly, behind the scenes, a book was published that would change the landscape of early Christian studies for years to come. Walter Bauer published his now famous monograph, Orthodoxy and Heresy in Earliest Christianity. Compared to Hitler’s rise, this was not very newsworthy. And Bauer’s book did not have much of an impact at first. But, in 1971 it was translated into English and since that time things have radically changed in the academy of the English speaking world. As is well known now, Bauer’s main thesis was that early Christianity was a bit of a mess. It was a theological quagmire. No one could get along; no one could agree. There was in-fighting and competition between various competing factions, all warring it out about what really constituted “Christianity.” Thus, for Bauer, there was no such thing as Christianity (singular) during this time, but only Christianities (plural). And each of these Christianities, argues Bauer, had its own set of books. Each had its own writings that it valued and thought were Scripture. After the dust settled, one particular group, and their books, won the theological war. But, why should we think these are the right books? These are just the books of the theological winners. Bauer’s thesis has seen a strong resurgence in recent years, particularly in the writings of scholars like Elaine Pagels, Bart Ehrman, and Helmut Koester. And it is the basis for a very common misconception about the NT Canon, namely that there was very little agreement over the books that made it into the canon until the fourth or fifth century. Before that, we are told, early Christianity was somewhat of a literary free for all. No one could agree on much of anything. Although Bauer’s thesis still dominates the academic landscape, scholars have begun to respond. Andreas Köstenberger and I co-authored The Heresy of Orthodoxy (Crossway, 2010) to address the cogency of the Bauer thesis. And I am also pleased to see a new book that has just come out that is doing the same. 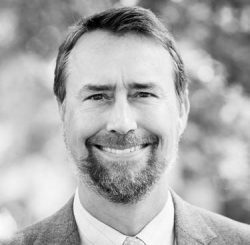 Paul Hartog has just published Orthodoxy and Heresy in Early Christian Contexts: Reconsidering the Bauer Thesis (Pickwick, 2015). Hartog, as the editor, has gathered together a number of scholars to interact with different aspects of Bauer’s thesis. This is a great collection of essays and I recommend it to anyone interested in doing more reading on this subject. Eighty years ago, Walter Bauer promulgated a bold and provocative thesis about early Christianity. He argued that many forms of Christianity started the race, but one competitor pushed aside the others, until this powerful ”orthodox” version won the day. The victors re-wrote history, marginalizing all other perspectives and silencing their voices, even though the alternatives possessed equal right to the title of normative Christianity. Bauer’s influence still casts a long shadow on early Christian scholarship. Were heretical movements the original forms of Christianity? Did the heretics outnumber the orthodox? Did orthodox heresiologists accurately portray their opponents? And more fundamentally, how can one make any objective distinction between ”heresy” and ”orthodoxy”? Is such labeling merely the product of socially situated power? Did numerous, valid forms of Christianity exist without any validating norms of Christianity? This collection of essays, each written by a relevant authority, tackles such questions with scholarly acumen and careful attention to historical, cultural-geographical, and socio-rhetorical detail. Although recognizing the importance of Bauer’s critical insights, innovative methodologies, and fruitful suggestions, the contributors expose numerous claims of the Bauer thesis (in both original and recent manifestations) that fall short of the historical evidence.